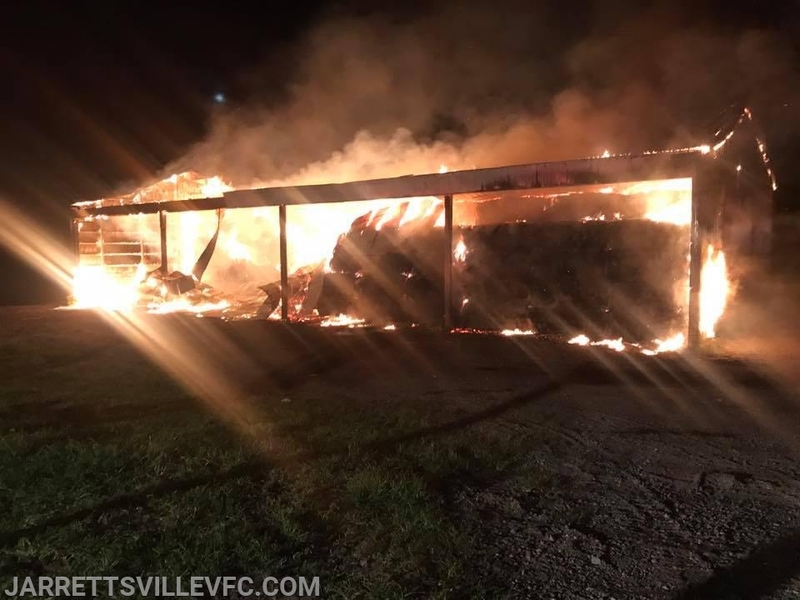 The Jarrettsville Volunteer Fire Company was alerted for a reported barn fire located in the area of Norrisville and Troyer Roads. JVFC units soon arrived and reported an approximately 60' x 100' open barn full of hay fully involved. Crews were able to contain the fire to the original building and prevent damage to area exposures. Units remained on scene until the early morning hours before being placed in service.